Any Star Wars fans out there? Of course there are! And with Valentine’s Day right around the corner everyone is looking for a unique gift to give. If you are looking for the perfect Valentine’s Day gift for a Star Wars fan then I have the gift for you! Yoda!! 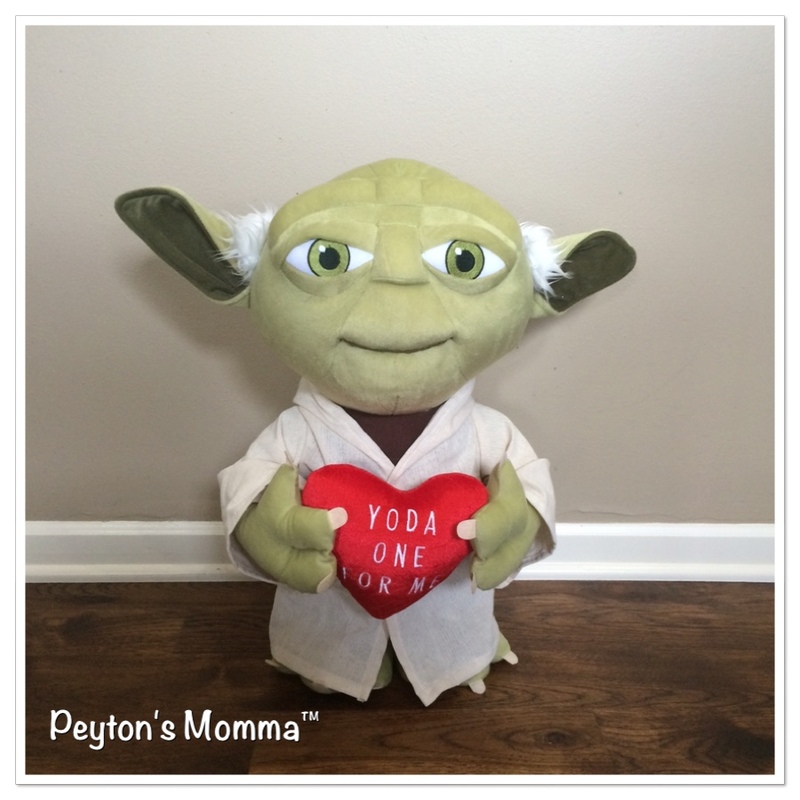 He’s a 21 inch tall plush Yoda holding an adorable heart saying Yoda One For Me. How cute is that? As soon as my daughter and nephew saw Yoda I knew there was going to be an issue. I only had one Yoda and two kids willing to go to battle for it. So what makes this Yoda a treasure? Well, first it’s Yoda. What Star Wars fan wouldn’t want to receive this? It’s also 21 inches tall! My 2 year old nephew love it because it was “his size”. He thought it was so neat to have a stuffed Yoda that large. It’s a plush Yoda but yet it’s firm enough to stand on it’s own and soft enough to enjoy huge hugs. And the adorable phrase on the pillow makes it a perfect Valentine’s Day gift. But they also have a 21 inch plush Darth Vader! Darth Vader holds a heart that says Together We Can Rule the Galaxy. And there’s even Chewie. A 21 inch stuffed plush Chewie holding a heart saying Chewie Loves You. These are great! But how can you chose just one? Well, these are just under $20 at your local Wal-Mart. In my opinion that affordable and convenient. I know I will be heading over to our local Wal-Mart tomorrow because I need to pick up a Yoda before the force awakens in our house. What if Star Wars is not your thing? That’s ok. Gemmy has made an assortment of plush characters for Valentine’s Day. There’s even a 21 inch Elsa! Other characters include Mickey and Minnie plus the traditional Bear and even a dancing doggie. With so many choices you are sure to find at least one if not more to bring home for Valentine’s Day. Hi there, I check your blogs just like any week. Your humoristic style is awesome, keep it up! Hi there, I love reading through your post. I like to create a little comment to back up you. 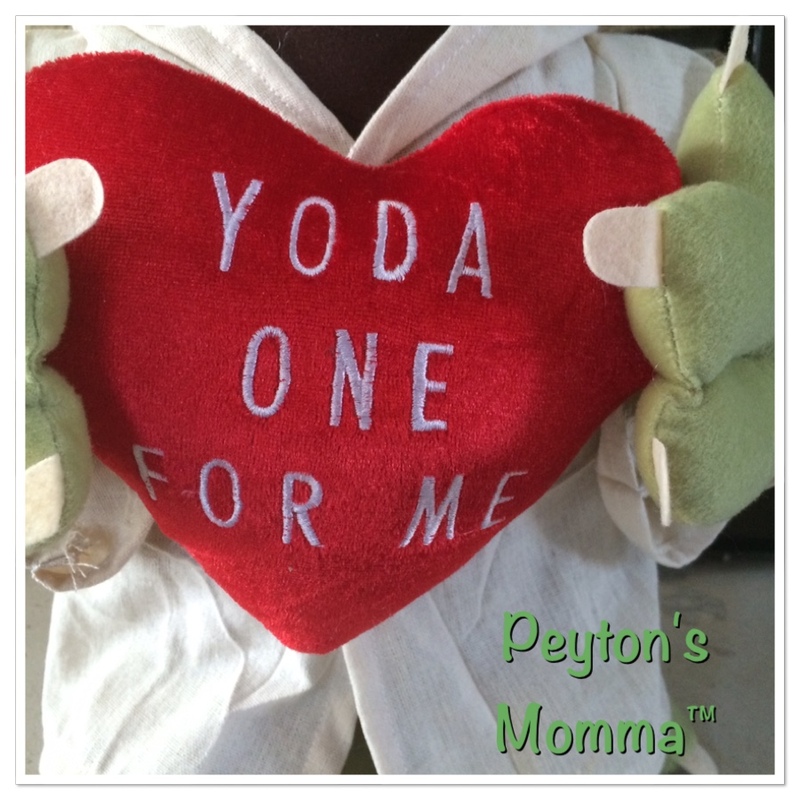 I am looking for the Yoda valentines plush. I can not find it anywhere. Any suggestions?